A Primer of NMR Theory with Calculations in Mathematica (with CD-Rom) Benesi Alan J. 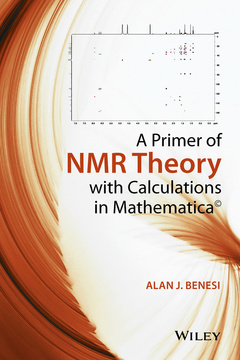 Add to cart the livre + cd of Benesi Alan J.
Presents the theory of NMR enhanced with Mathematica notebooks. Provides short, focused chapters with brief explanations of well-defined topics with an emphasis on a mathematical description. Presents essential results from quantum mechanics concisely and for easy use in predicting and simulating the results of NMR experiments. Includes Mathematica notebooks that implement the theory in the form of text, graphics, sound, and calculations. Based on class tested methods developed by the author over his 25 year teaching career. These notebooks show exactly how the theory works and provide useful calculation templates for NMR researchers. Chapter 39 NMR Relaxation: What is NMR Relaxation and what Causes it?